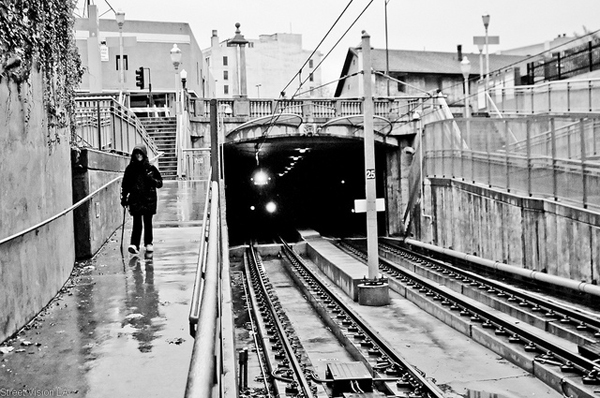 Great composition and use of black and white on a recent rainy day at the Gold Line’s Memorial Park station in Old Town Pasadena. Hey Steve, this is a quick suggestion: I see, to recall a while back that on these photo posts, the description would occasionally include the camera settings used to take the photo (ISO, F-stop, exposure time, etc.) I don’t know if the people sending you the pictures include that information, but if they do, I for one would be interested in seeing it in the post.